Hazen Argue was born in Moose Jaw on January 6, 1921. His parents rented their Kayville farm when Argue was five and moved to Avonlea where his father operated a farm machinery business that was successful until the crash of 1929. Argue graduated from the University of Saskatchewan in 1944 with a BSc in agriculture. 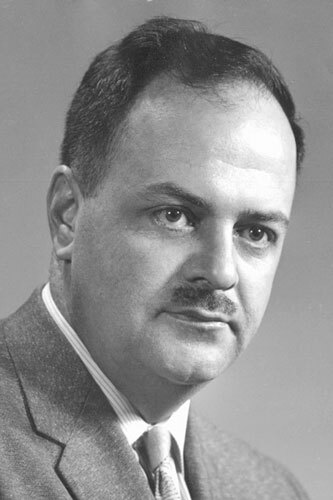 Saskatchewan's longest serving federal parliamentarian (eighteen years as a member of Parliament and twenty-five years as a senator) began his career as a member of the Co-operative Commonwealth Federation (CCF) and ended it as a Liberal senator. He was elected to the House of Commons in 1945 at the age of 24 as the CCF member for Wood Mountain. In 1958 he was the only Saskatchewan Opposition MP to survive the Diefenbaker sweep. With the defeat of M.J. Coldwell, Argue was elected House Leader. Two years later Coldwell resigned and Argue was elected CCF leader. In 1961 a union between the CCF and the Canadian Labour Congress created the New Democratic Party (NDP). The leadership contest for the new party was between Argue and Saskatchewan CCF Premier, Tommy Douglas. Douglas won a first-ballot victory and Argue returned to his farm. Controversy was a part of the career of “Blazin' Hazen.” In 1962 Argue announced he was leaving the NDP and joining the Liberals. Argue entered the 1962 federal election as a candidate for the Liberal Party. He held his seat in 1962 but was badly defeated in 1963 and 1965. Lester Pearson appointed Argue to the Senate in 1966. He held this position until his death. In 1980 Trudeau named Argue Minister of State for the Canadian Wheat Board. Argue served in this capacity until the Liberal defeat of 1984. In 1982 Argue achieved national recognition by arranging a grain deal with the Soviet Union. In 1989 Argue was accused of using Senate funds to hire research assistants and other staff to help his wife Jean attempt to win a federal Liberal nomination. Argue was charged with fraud, theft and breach of trust. The charges were dropped in 1990 when he became seriously ill. He died October 2, 1991. McLeod, Thomas H. and Ian McLeod. 1987. Tommy Douglas: The Road to Jerusalem. Edmonton: Hurtig Publishers.